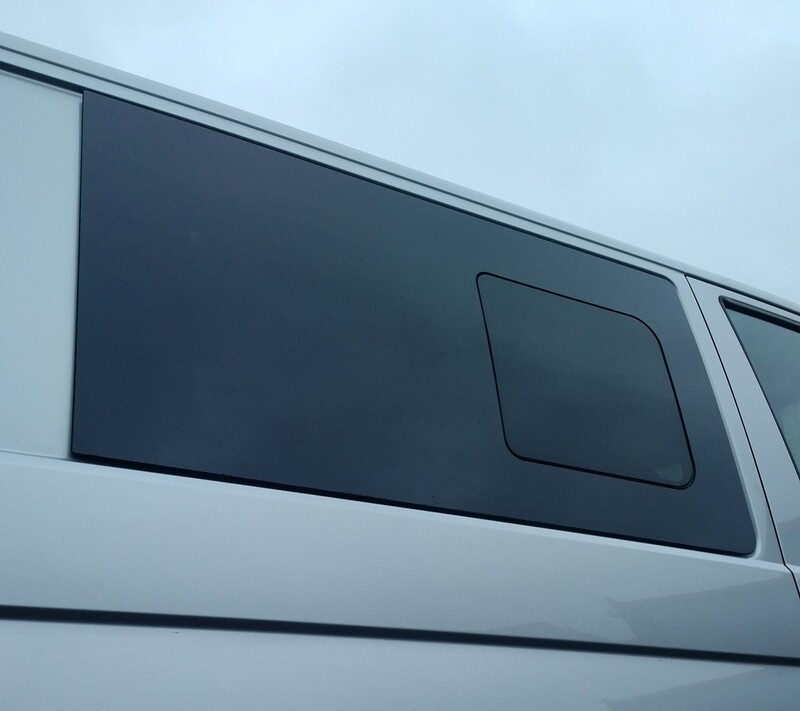 VW T5 & T6 Privacy Flush Glazed Slideing Windows. It's what you have all be waiting for!!! For conversions, no need to cut into the double skin. The frame size sits within and will fit either a sliding door or a fixed panel, so suitable for Left Hand Drive vehicles.